What is great about your sport? Swimming has always been good for me – I love how free I feel in the water. It is a great way for my muscles to relax. Sometimes it can be challenging to learn new strokes such as butterfly and adapt these to suit my body and abilities. But eventually I get there and it’s a very rewarding feeling when I do! When I was awarded first place in the Special Olympics Swimming competition. 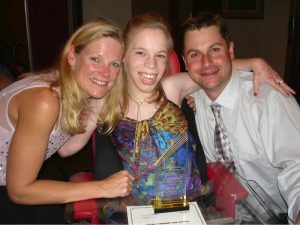 In 2006 I was the recipient of the Bill Bowden Encouragement Award, which recognises the achievements, hard work and commitment of Special Olympics SA athletes. My twin sister Tori is my greatest inspiration. I look up to her and she is always there to support me in anything I choose to do. My family, friends and my old swimming teacher, Julie Astley. She was the one who encouraged me to get into the water in the first place. 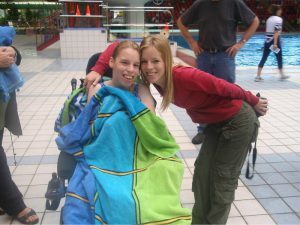 I began swimming lessons with Julie when I was 12 years old. Our friendship and my swimming abilities developed amazingly over 9 years. She would push me and challenge me to do my best – while at the same time, support me and cheer me on! 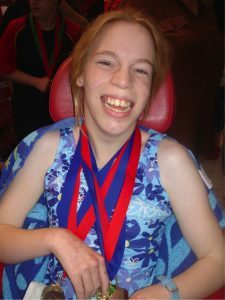 I would love to travel and represent Special Olympics at the State swimming competitions. Special Olympics Australian Swimming Team! My name is Georgia Horgan and I’m 26 years old. I was born prematurely at 27 weeks and have Cerebral Palsy and Epilepsy. I am wheelchair bound – so you can imagine how amazing it feels to get out of my chair and into the water! Swimming has always been an escape for me. I love how free my body feels in the water. It gives me the opportunity to stretch my muscles and free any tension or pain. 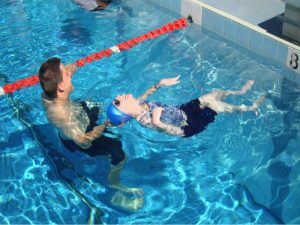 My favourite strokes are freestyle, breaststroke, backstroke, alternating backstroke and assisted walking. Even though I find it difficult to walk on land, when I’m in the water, I love the feeling of my feet touching the bottom of the pool. 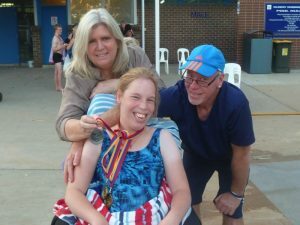 I try to go swimming twice a week and love competing in the South Australian Special Olympics Swimming competitions. I have been swimming for 14 years now – I’m excited to learn new strokes and participate in more competitions. I have had multiple surgeries throughout my life and have had to contend with pain regularly. But that has never stopped me from getting in the water. I’m out to prove, that even though I’m in a wheelchair, I can achieve whatever I want to achieve.